The Great Northwest Athletic Conference men’s basketball tournament returns to Saint Martin’s and tips off the tourney on Wednesday, March 5th at noon, continues with the semifinals on Thursday, March 7th and wraps up with the championship game on Saturday, March 8th at 5:15 PM. The men’s tournament is top heavy with Seattle Pacific and Western Washington the odds on favorites but the two Alaska schools each have their own thing going that could easily spoil the fun for the Falcons or Vikings. Western Oregon finished with the same conference records as Alaska Anchorage but they don’t seem like the same caliber and Montana State-Billings barely made the tourney on a two game losing streak to non-playoff clubs. For ticket info click here but if you can’t make it to the Pavilion, you can hear Rob Lowery, the voice of Central Washington basketball, and me, Brandon Sparks, on the call of the game for GNAC TV. The Falcons feature the GNAC Player of the Year in senior David Downs and first team all-GNAC forward Patrick Simon. Both have hit 75 three pointers this season and Simon leads the nation at 53.6% from behind the arc. Simon is the key for the Falcons. When he missed a pair of GNAC tilts in early January, the Falcons dropped two games back-to-back to Western Oregon and Saint Martin’s. Teams also have to contend with the 2012-2013 GNAC Defensive Player of the Year Riley Stockton. SPU allows just 66.4 points per game, the lowest in the GNAC. Why they will win: The star power of David Downs and Patrick Simon. Why they won’t: Downs or Simon struggles and nobody picks up the slack. Western Washington is the leading scoring team (87.3 ppg), is #1 in rebounding (39.0 rpg) and #1 in blocks (5.7 bpg). They do just about everything well, it’s remarkable that they weren’t able to stick with Seattle Pacific in either of their games this year. Five Vikings average in double-digit scoring: Woodworth (17.5), Bragg (17.5), Jeffrey Parker (11.5), Robert Harris (11.0) and Joey Schreiber (10.8). Black Hills alum Anye Turner is right behind them with nine points per game. He also adds 7.5 boards per game and has racked up 38 blocks and 31 steals. Why they will win: Fast paced, balanced offense. Why they won’t: They turnover the ball at a high rate. Alaska doesn’t score a whole lot of points (71.3, 9th in GNAC) but they don’t give up very many either (67.4, 2nd in GNAC). The Nanooks forced 390 turnovers and Andrew Kelly was named the Defensive Player of the Year thanks to 37 steals and 22 blocked shots. He also is the second leading scorer for UAF at 12.7 points per game. 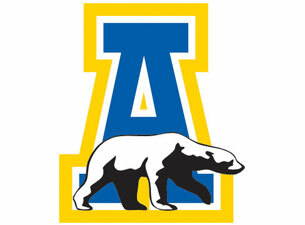 Five Nanooks scored in double-digits this season but then it drops off dramatically. Joe Slocum avaerages 10.4 points per game but then the next highest average is Mike Stepovich at 2.9 ppg. Ronnie Baker leads them with 14.7 points per game. Why they will win: Their stout defense. Why they won’t: Severe lack of depth. Alaska Anchorage fires away hoisting nearly 250 more three pointers than the next team. And they make a lot of them, 378 to be exact. Comparatively, Northwest Nazarene is second in the league in made three pointers and they made just 254. Travis Thompson and Kyle Fossman accounted for 214 of the Seawolves’ three pointers. Thompson, back for his junior season after taking the 2012-2013 season off, averaged 21.5 points per game, good enough for second in the conference behind the one man scoring machine of Mark McLaughlin. The fifth and sixth seeds are very strange and streaky teams. Western Oregon managed to knock off Alaska and Western Washington but also dropped games to each of the three non-playoff squads. The Wolves are led by their sixth man, Rodney Webster. He comes off the bench and transforms their energy level instantly. The sudden change of pace that Webster provides is remarkable. Western Oregon forced the most turnovers of any team in the GNAC this season (413) and leads the conference in steals (259, 9.3 per game). They took the least amount of three pointers (503), made the least amount of three pointers (163) and shot the worst from behind the arc (32%). Why they will win: They drive their opponent crazy with their pressure. Why they won’t: Teams take away Webster. 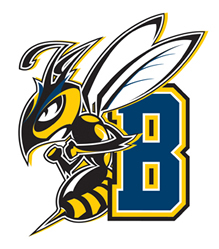 Like Western Oregon, the Yellowjackets are unbelievably streaky. They beat Alaska Anchorage twice and knocked off both Western Washington and Seattle Pacific but lost to Saint Martin’s and then backed into the playoffs with a pair of losses to Northwest Nazarene and Central Washington. They only made the playoffs based on a tiebreaker with the Wildcats. Jonathan Mesghna led the Yellowjackets with 15.2 points per game and the senior forward that is on his fourth team in four seasons (Central Wyoming, North Dakota State College of Science and Divison I University of Maine) was named the GNAC’s Newcomer of the Year. Kalob Hatcher led the GNAC with 200 assists. Why they won’t: Meshgna and Hudson shutdown forcing Hatcher into a scoring rolle. Wednesday: Both of the Alaska schools will advance relatively easily. 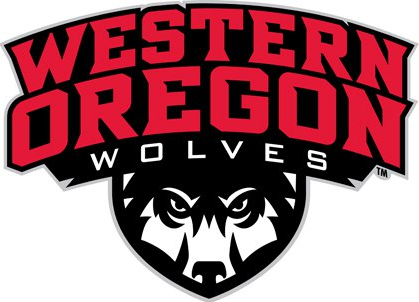 Western Oregon plays solidly Alaska Anchorage knock down far too many three pointers for the Wolves to recover from. Friday: Western Washington’s up-tempo pace will be too much for the Nanooks and Seattle Pacific’s defense prevents the Seawolves from getting good looks from behind the arc. Saturday: The Falcons lead for much of the game before the Vikings turn it on in the end, erase a deficit, and hit the game winner with less than a minute less. Posted on March 5, 2014, in Basketball, College. Bookmark the permalink. 1 Comment.